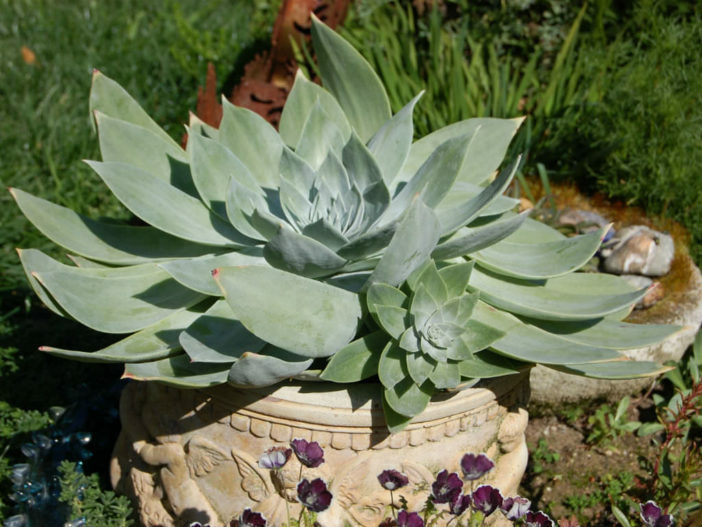 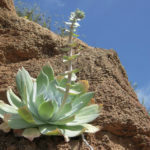 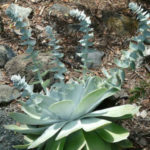 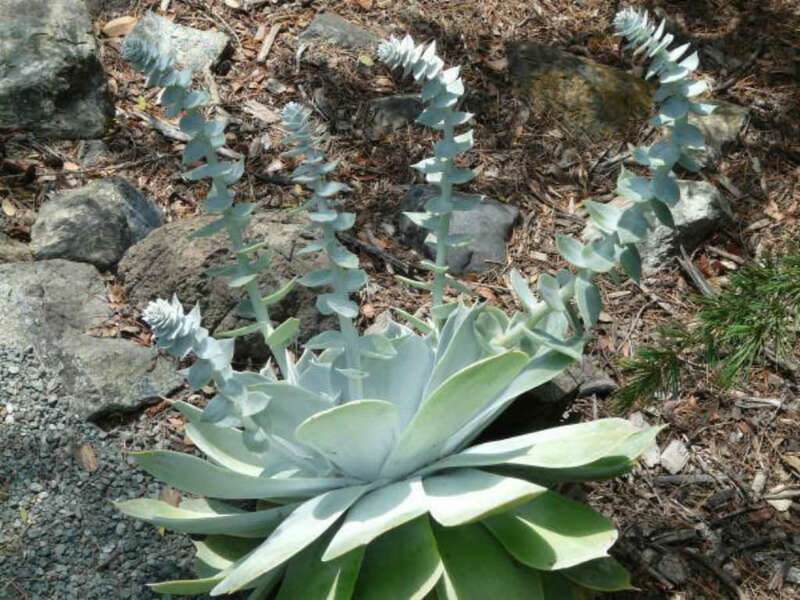 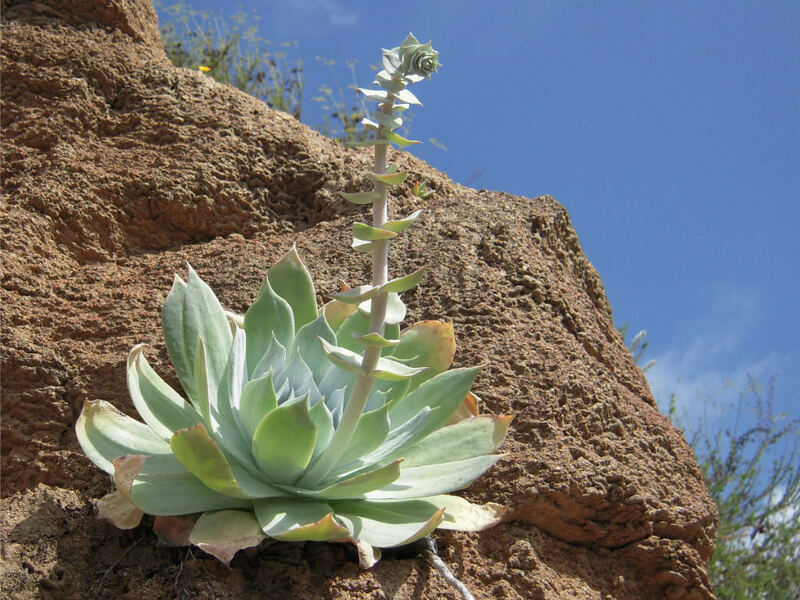 Dudleya pulverulenta is a ground-hugging, slowly-clumping succulent with beautiful up to 18 inches (45 cm) wide rosettes of chalky-white leaves surrounding a up to 2 inches (5 cm) thick basal stem. 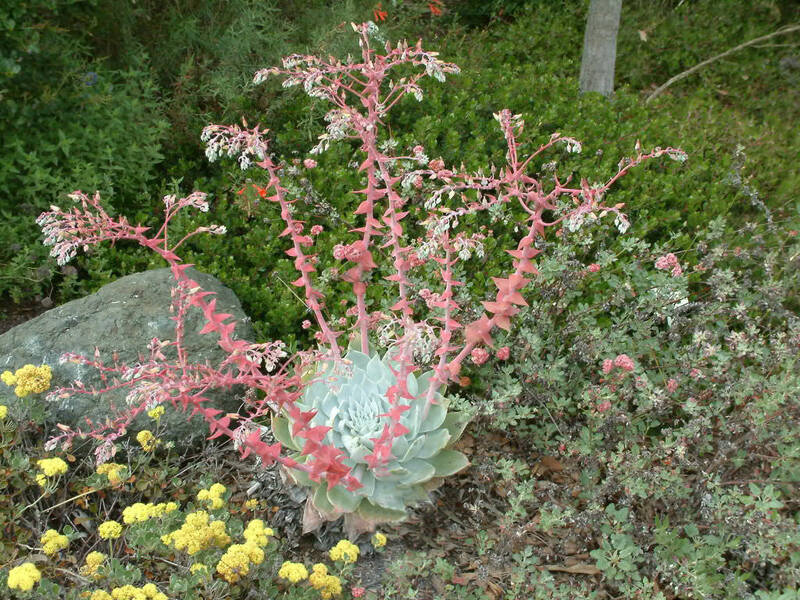 Stout, silvery-white, up to 2 foot (60 cm) long spikes arch upwards and bear clusters of reddish flowers in late spring to early summer. 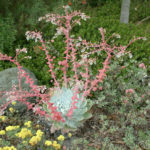 Native to the southwestern United States and northern Mexico, where it is found in steep open rocky areas in coastal and inland mountains and desert foothills, such as the Santa Monica Mountains.